Jackpotjoy are one of the flagship brands of the famous Gamesys group. The group was founded in 2001, with Jackpotjoy coming a year later and reaching its 100,000th member in 2005. Jackpotjoy is operated under a license from the Government of Gibraltar, who also provide regulation, with the site being operated by another of Gamesys’ businesses, Profitable Play. Gamesys are London-based and as well as being the parent company they also provide the software for Jackpotjoy and other gaming sites, whilst Profitable Play are based in Gibraltar (in case you were wondering). The overall group saw wagering of over £4bn in 2012 with a huge increase in revenue to almost £170m and with this kind of financial backing it is fair to say that your personal and financial details, not to mention your funds, are in safe hands when you play here. 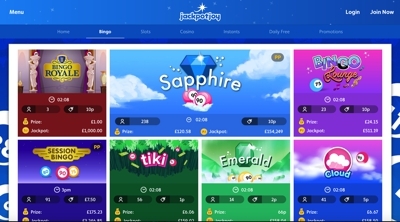 Gamesys have won numerous awards across many sites in their network (such as Virgin Games, Sun Bingo, Heart Bingo and Caesars) but Jackpotjoy won the 2013 EGR “Innovation in Bingo”, which tells you a lot about the site. Whilst there is a big focus on bingo there are also almost 100 games in total, with loads of great slots as well as casino classics like roulette and blackjack. The size of the group enables them to offer some huge jackpots too, with iconic slots such as Deal or No Deal offering over £500,000 at the time of writing. 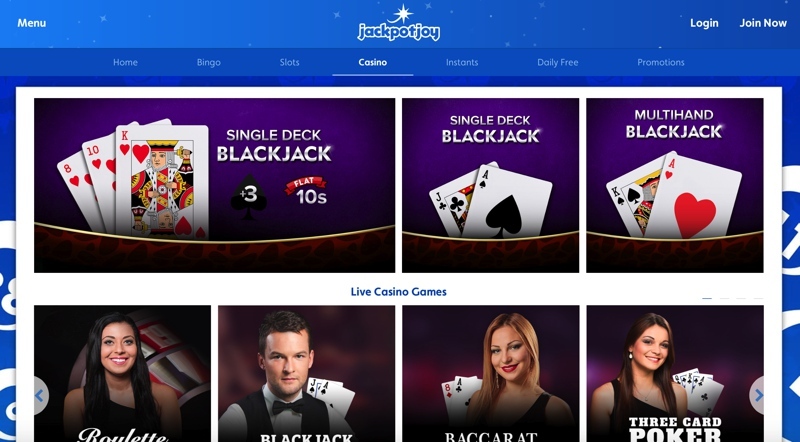 With excellent customer service and a very lively community area, Jackpotjoy really have no weaknesses and their VIP area and Shop of Joy (that lets you turn loyalty points into freebies) are also great additions. This is one website you really should have in your armoury, and with the site constantly expanding the number of games it offers on mobile you can even play many of your favourites on the go. The casino is actually designed and run on their won network, which gives them a a lot of flexibility into which games are on offer. What you’ll likely find is that as a result the number of games are smaller than some, but the quality across the board seems to be as good as any. The inclusion of progressive jackpots again isn’t as high as some of their competitors, but they still provide a strong option for most casino players. 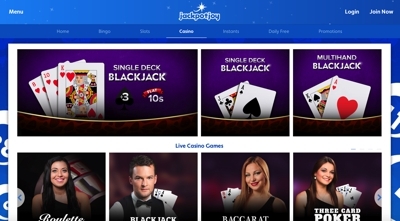 The bingo room is hosted on the Jackpotjoy network, making the whole site in-house. This has its advantages, but one major disadvantage that we found was the distinct lack of games on offer. In fact, only 10 options were available at the time of writing, but a good range were included in that small number. The progressive jackpot tables are what the site is all about, and you can expect these larger jackpots to run into the hundreds of thousands of pounds, quite comfortably.